Hello dear and faithful In Katrina’s Kitchen readers! I wish I was visiting you today because Katrina was off on a ’round-the-world trip or something equally exciting and not because she’s trapped in the hospital. I know very well what our beloved blogger is enduring, having gone through much of the same over the years, and so my heart is especially full with thoughts of Katrina, and I’m sending her super-duper, mighty big, virtual hugs. 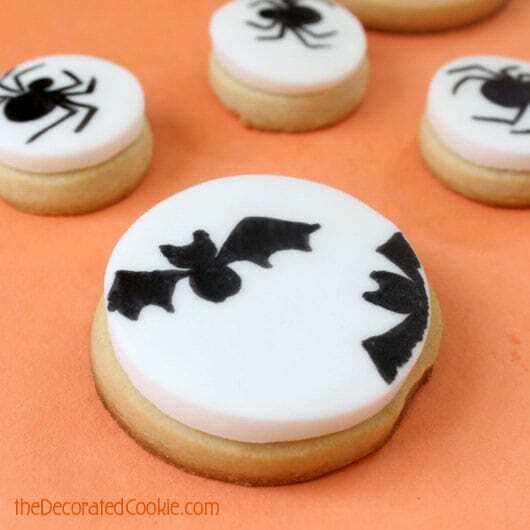 While she’s speedily recovering (I hope), I thought I’d make her some simple, decorated cookies for Halloween. I’m Meaghan. 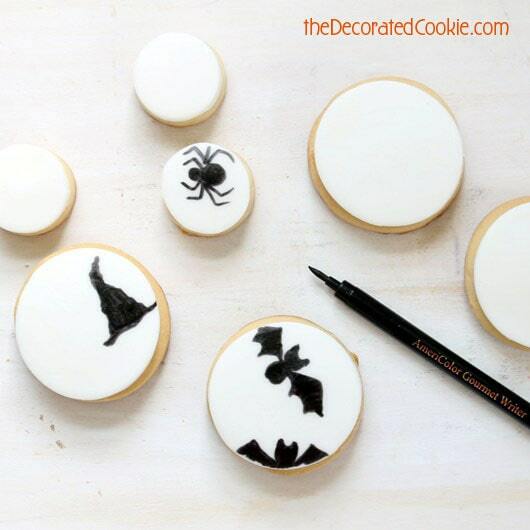 I blog over at the decorated cookie. I have a book out, too. 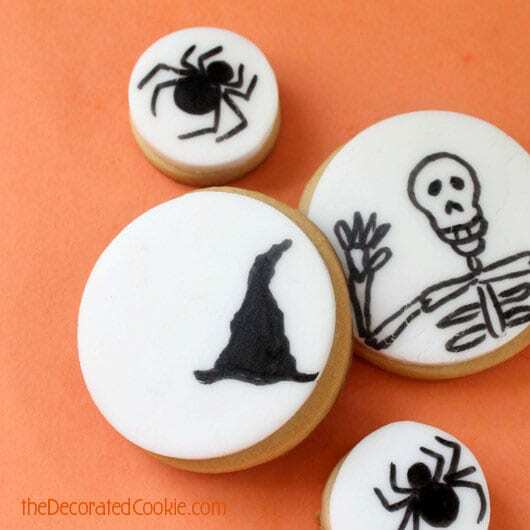 It’s called Sugarlicious: 50 Cute and Clever Treats for Every Occasion. 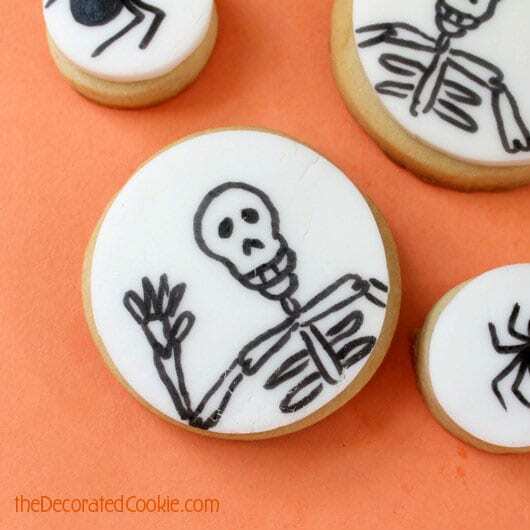 One of my all-time favorite decorating tools is the edible writer. I own dozens, hundreds, jillions!! 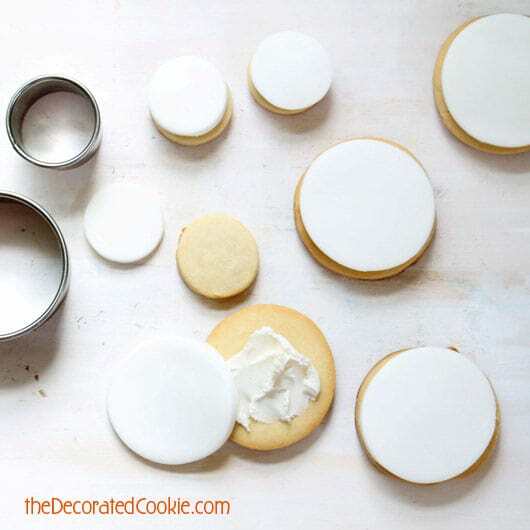 But luckily, you only need one to make these. Just one, black edible writer (also known as a food coloring pen). You should be able to find the edible writer in the craft store, but find all you need to know about edible writers and where to find them HERE. Get well, Katrina!! We miss you!! 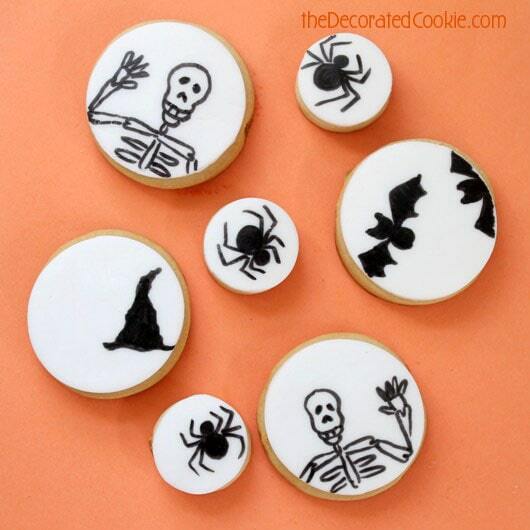 These are so great, Meaghan! 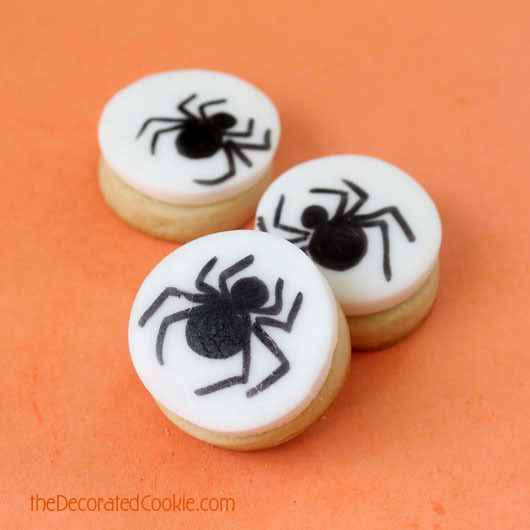 The spiders are creeeepy, which is a good thing for Halloween! OH my goodness, these are so amazing 🙂 I love it!! !